Brand-new Hero Monkey King has now debuted in League of Angles! 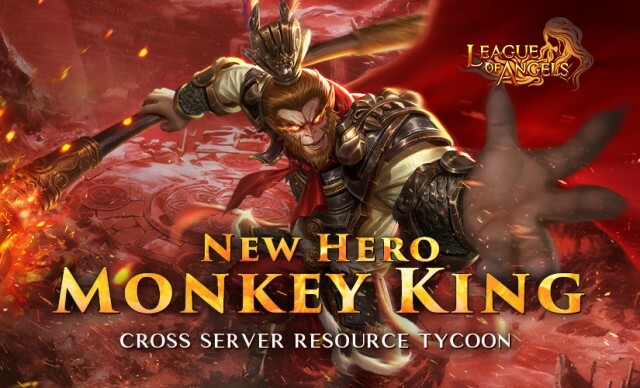 Monkey King will be available in Cross-server Resource Tycoon from Jan. 22nd to Jan. 27th. 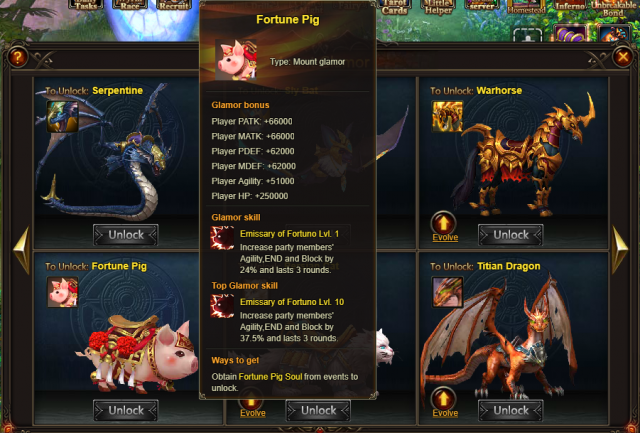 Great news is that, the TOP 6 winners in the overall ranking will have the honor to win Monkey King Crest and TOP 3 winners can get also get new mount Fortune Pig as extra rewards! Monkey King is a Heavy Striker hero with a unique skill called "Batting Technique". His round skill can randomly breaks 2 enemy units’ shields, dealing great damage and barring the killed from being respawned! Expect for Monkey King, Artifact Mount Fortune Pig and Sylph Gear Grace Stoneare also available in X-server Resource Tycoon! Golden Sylph Gear Grace Stone will help increase the squad’s HP and Dodge rating, and Mount Fortune Pig will increase all party member’s Agility, END and Block! From Jan. 22nd to Jan. 27th (server time), you can gain points by collecting required resources during the event, i.e. Soul Stone, Seraph's Stone, Element Scroll, Grotto Heart, Spring of Wisdom, Purgatory Soul, Khaos Core, Heavenly Siderite, Refine Ore, Spring of Glass, and Diamond. Note: Gain Purgatory Soul, Seraph's Stone and Refine Ore for 2X points! Tycoon Mystic Deal has all the hot heroes and weapons covered. Carnage Queen, Styx Lord, Golden Disciple, Lord Skyscream, Nine-tailed Fox, Son of Flames, Crooked Claw, Soul Messenger, Celestial Blade and many more are available here. Check the Tycoon Mystic Deal in Hot Events! Various resources, gem chests, angel essence chests, and even powerful mounts can be gained by accumulating points and reaching certain Recharge amount in Lucky Points. This time, Pale Eagle, Jasper Eagle, Emerald Eagle are newly added, and you can use them to exchange for valuable resources. Change Fortune Pig to Christmas Husky freely if you don't like the former. Seize the chance to make them yours from Jan. 22nd to Jan. 29th! Please note that the above content might be adjusted due to changes of the development plan. Final updates will be determined in game. More exciting events are coming up through Jan. 22 to Jan. 27 (server time), check them out in the in-game Hot Events menu now! Last: New Angel Brigid Comes to Fight With You! Next: New Costume Spring Spirit: Wish You a Happy New Year!